Our family tradition began more than 65 years ago with Sam Perrella — or as we like to call him, Grandpa Sam. As World War II soldiers returned home from Italy telling tales of their favorite food, the popularity of pizza in the U.S. grew. Sam Perrella, a former miner who owned a small café in Keewatin, picked up on this growing trend. Having connections in Chicago, Sam visited with some pizza makers and returned home with an idea that sparked and gave birth to what is now Sammy’s Pizza. 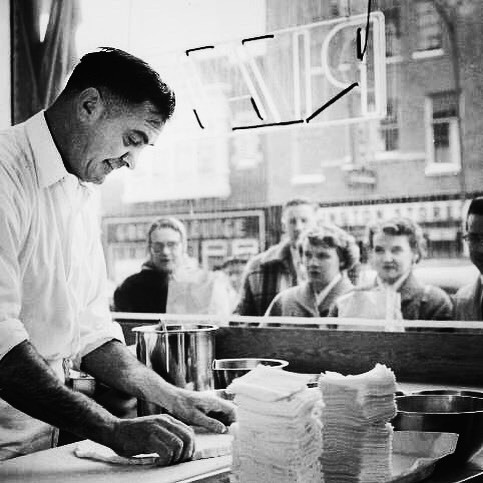 In October 1954, armed with enthusiasm and their own secret recipes, Sam and wife, Louise, opened the doors of the first Sammy's Pizza restaurant in Hibbing, MN. As their business flourished, they helped their family and a close friend open their own pizza restaurants. 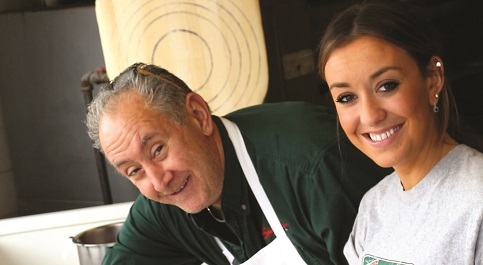 Today, some 65 years, 15 locations and more than 20 million pizzas later, Sammy's is now in it's fourth generation of pizza makers, who all still use Sam’s original recipes. In 2015, PMQ Pizza Magazine, the pizza industry’s No. 1 publication, inducted Sammy’s into its Pizza Hall of Fame — which pays tribute to popular pizzerias in business for 50 years or longer. In 2018, Sammy's was also voted 'Best Pizza in Minnesota' in Minnesota Monthly Magazine's Pizza Bracket Challenge. Sammy's Pizza & Deli was opened in 1958 by Jim and Marguerite (Perrella) Acheson. The restaurant has remained in the family ever since — and today is owned and operated by Jim Acheson Jr. (the son of the original owners) and his son, John. When you visit, our hope is that you’ll realize Sammy’s makes much more than great pizza — we make works of art inspiring traditions with family and friends, as well as in our local Lakeside community. 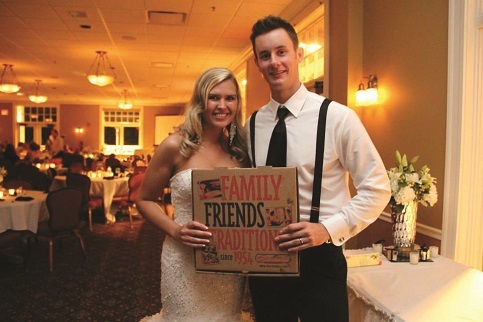 Thank you for making Sammy’s Pizza a part of your family tradition. We look forward to your next visit! Hours: Sun.-Thurs, 11 a.m. - 11 p.m.
Fri.-Sat. 11 a.m. - 12 a.m.